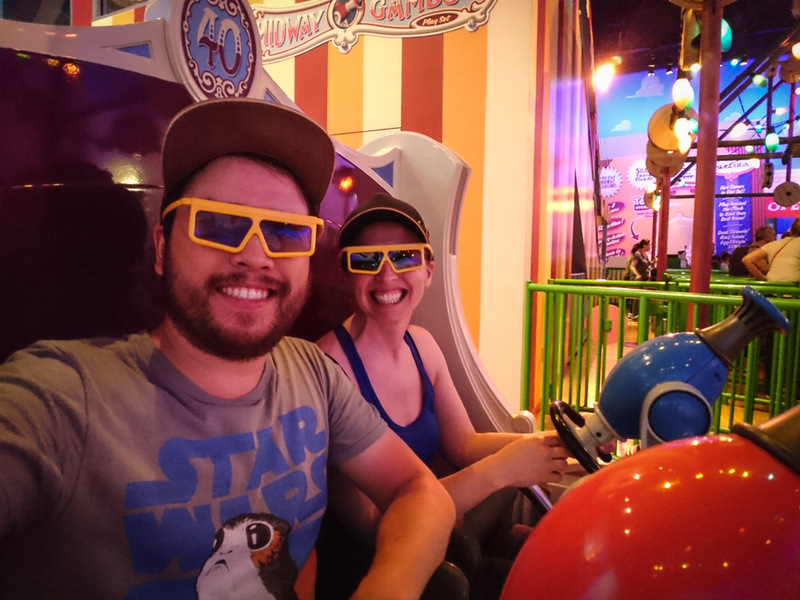 If you’re deciding what to do and see on your visit to this cinema-centric Disney park, check out our top ten rides and attractions from our 1-day Disney’s Hollywood Studios adventure below! Here at the Star Wars Launch Bay, there are several things to see, so you can choose your adventure. We watched the film before heading in to meet the characters. The film is relatively short and offers some insight into Star Wars behind the scenes and what’s coming up next in the Star Wars galaxy. If you’re pressed for time, you could easily skip this part, especially if you don’t want to wait in line for it. Once you enter the character portion, there are loads of displays for the Star Wars junkie to enjoy (light sabers, models of various spacecraft, storm trooper helmets, etc. ), and when you’re fully inside you can check the wait times for the characters to decide which one you want to meet first! Chewy was so excited to see Ian’s shirt! The Star Wars celebrities were my favorite part of the whole park. Disney staff snapped photos for us with our cell phones. They also took some with professional cameras, available to view and download online (for a fee) with our PhotoPass cards. 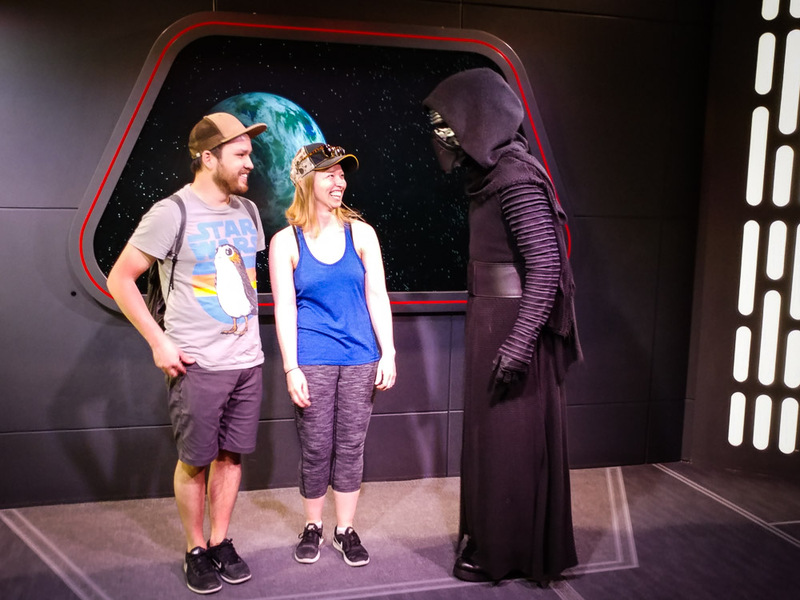 In contrast, our Kylo Ren encounter was mildly terrifying — and extremely well done. I won’t spoil it for you by telling you all the details, but the things he says to you and his mannerisms are perfectly in character. Don’t miss it if you’re a fan of The Force Awakens or The Last Jedi! BB-8 had a slightly longer line (35 minutes). Since we were eager to see other parts of the park, we reluctantly skipped the little round droid. If any readers made time to see him, I’d love to hear about it in the comments! 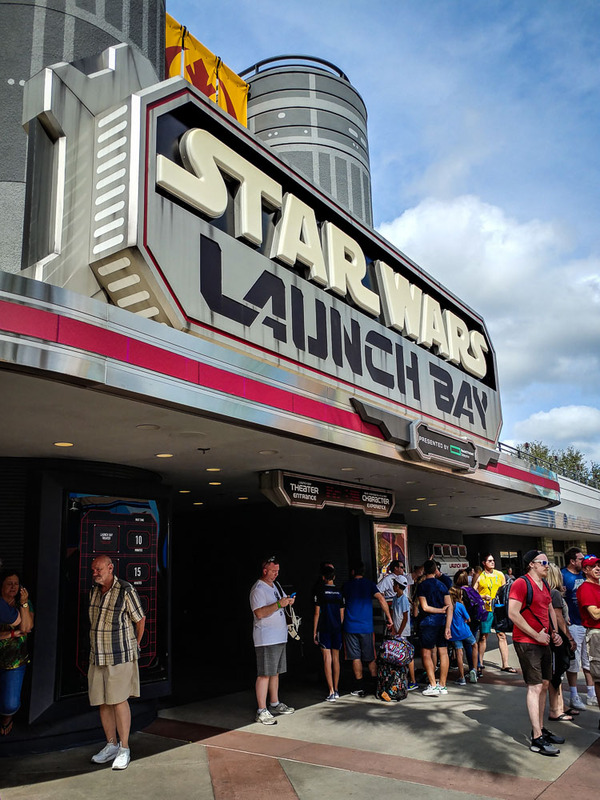 Find out more about the Star Wars Launch Bay on the Disney’s Hollywood Studios website. If you love a little friendly competition, you’re going to love this ride. I first fell in love with this game in college at Disney California Adventure Park, and I was excited to find it here in Florida because it was always a highlight of those college Disney trips. Select a worthy opponent and gear up to knock out as many targets as possible as your car moves you along through the ride. Ready your fingers around the pull trigger, aim for the highest value targets, and fire away as fast as you can. Rack up more points than your opponent to win! 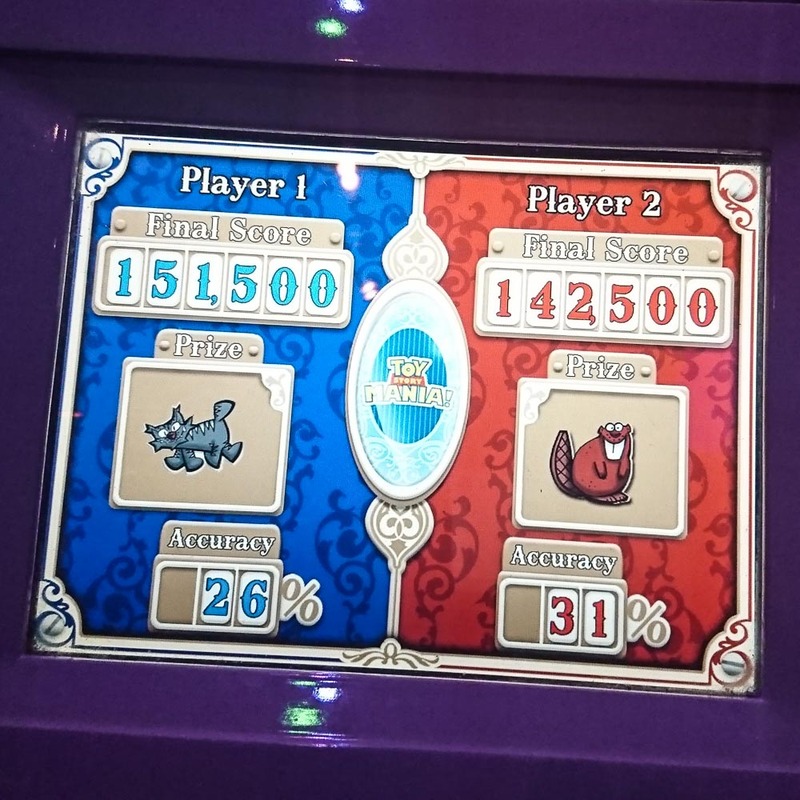 Can you guess which one of us got the highest score? P.S. Everyone else seems to love this ride, too, so either use a FastPass on this one or do what we did and run over here immediately after the fireworks show for virtually no line! Find out more about Toy Story Mania on the Disney’s Hollywood Studios website. There are no bad seats for this Fantasia-themed character show, so don’t sweat the wait if you don’t have a FastPass for it. Food and drinks are allowed in, too, so grab a snack at one of the nearby food vendors before getting in line if you’re starting to feel drained. With our Fantasmic! FastPass, we endured no wait to snag a spot on the second row of bleachers for this show. And while it did get a little misty up closer to Mickey’s orchestrated splashing, I enjoyed the slightly closer view. Loads of characters show up in this show, and the combination of light and water make for an interesting spectacle to enjoy as you rest after a long day on your feet. One thing to note when choosing your seat: The exits are in the back, and the outdoor auditorium is huge, so the closer to the front you are sitting for the show, the longer it’ll take you to get out when it’s over. 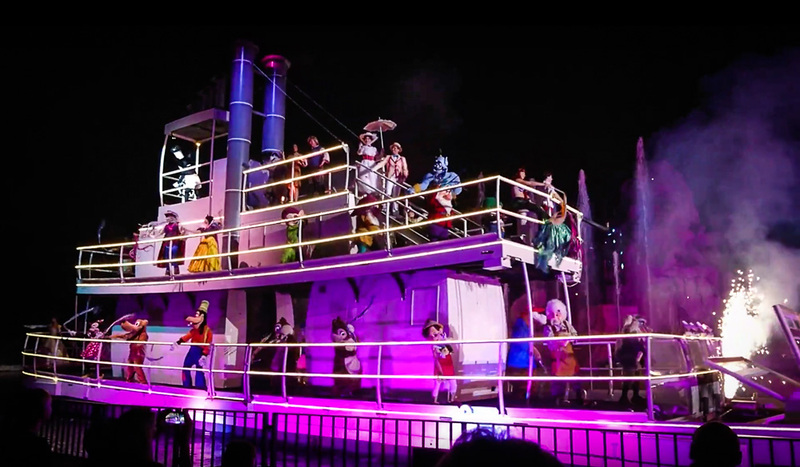 Find out more about Fantasmic! on the Disney’s Hollywood Studios website. Let it go, Let it go-oh! This sing-along show will be great fun for anyone who likes to sing (this girl, right here!) or anyone who loves Frozen. 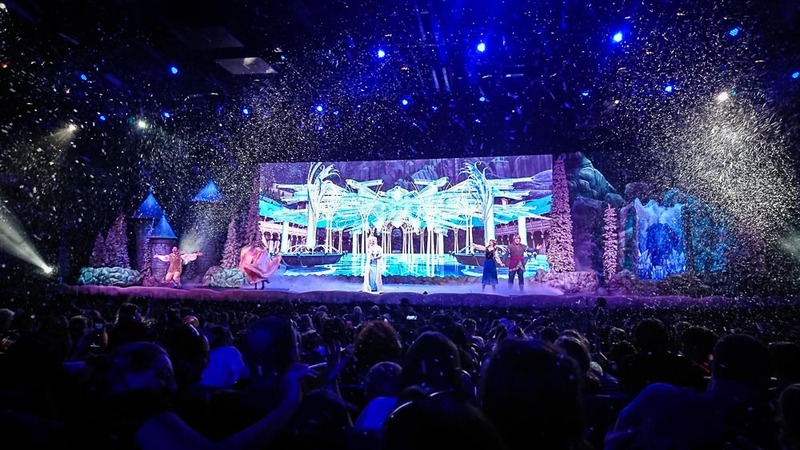 The character playing Elsa was an especially fantastic singer, and it’s impossible for anyone to not smile as the show culminates in a truly spectacular soap-snowfall at the end of the final song. Find out more about For the First Time in Forever: A Frozen Sing-Along Celebration on the Disney’s Hollywood Studios website. The park may be filled with mostly shows, but rollercoasters aren’t non-existent at Disney’s Hollywood Studios. And this one is pretty epic. The famously crazy LA freeways are the setting for this coaster, and the band Aerosmith needs to get to their show. Hold on to your hats — actually, you’ll probably have to stow them — you’re along for the high-speed limo ride. It’s dark. It’s fast. It twists and turns. And yes, the Aerosmith rollercoaster goes upside down! Find out more about the Rock ‘n’ Rollercoaster Starring Aerosmith on the Disney’s Hollywood Studios website. There’s fire. There’s running from a rolling boulder. And there’s audience interaction! What more could you want from a Disney show? This one is kind of a classic, so I think everyone should see it at least once. I’ve actually seen it a few times, so I wasn’t worried about getting a good seat on this occasion. We walked in and stood in the back pretty much right when the show started, which turned out to be a good thing, because the show was canceled partway through when they couldn’t get their rolling scenery to move. We did make it through to the rolling boulder portion, though, as well as seeing some stunt moves to avoid various spikes and fire patches that cropped up along the stunt devil’s path. 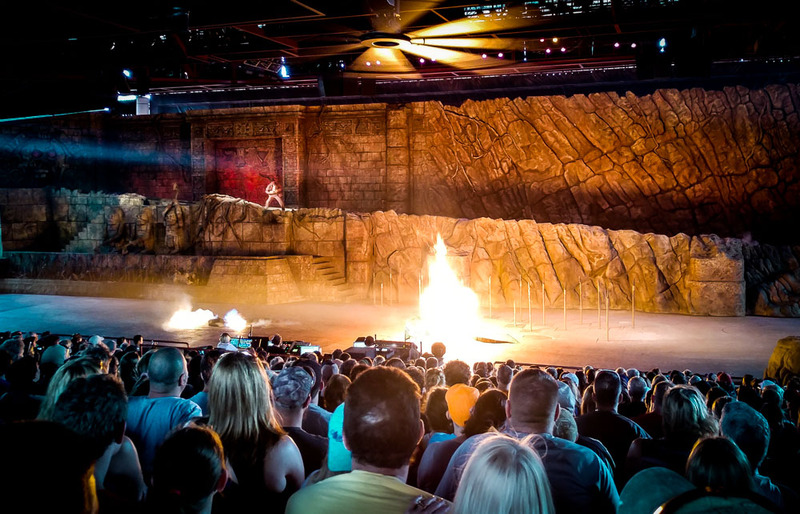 Find out more about the Indiana Jones Epic Stunt Spectacular on the Disney’s Hollywood Studios website. We didn’t want to miss any Star Wars attractions, so we made sure to swing back to the courtyard to see both courtyard shows. This was pretty easy, since the shows run very frequently and are somewhat in the middle of the action. The March of the First Order was probably my favorite, so if you’ve only got time to squeeze one in, I’d opt for this one. Grab a seat or standing spot in the viewing area, marked on the ground in the courtyard near the stage, and be sure to get near the middle aisle for the best view. The Stormtroopers march in toward the stage in unison under the command of Captain Phasma, have a quick show, and then turn around to march out the way they came. 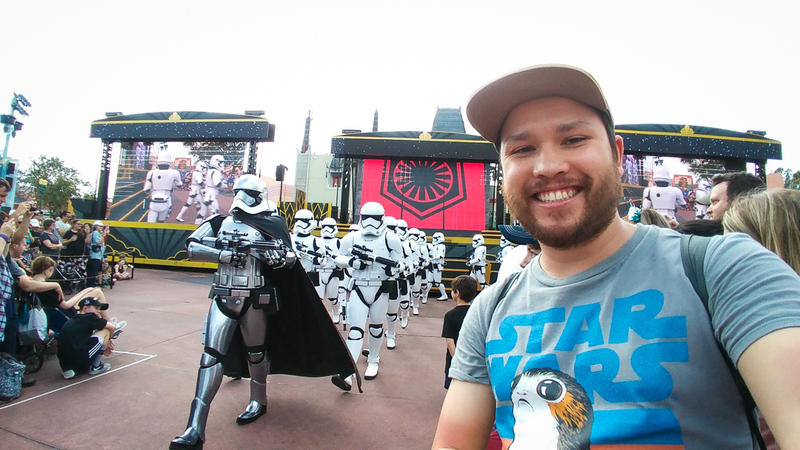 Find out more about The March of the First Order on the Disney’s Hollywood Studios website. Quick appearances by several new (and some old) Star Wars characters make up the Star Wars: A Galaxy Far, Far Away courtyard show. If you don’t have time to meet Chewbacca, BB-8, and Kylo Ren at the Star Wars Launch Bay, now’s your chance to see them on stage. You’ll also see Rey, R2-D2, C-3PO, Darth Maul, and maybe some more characters I may be forgetting. 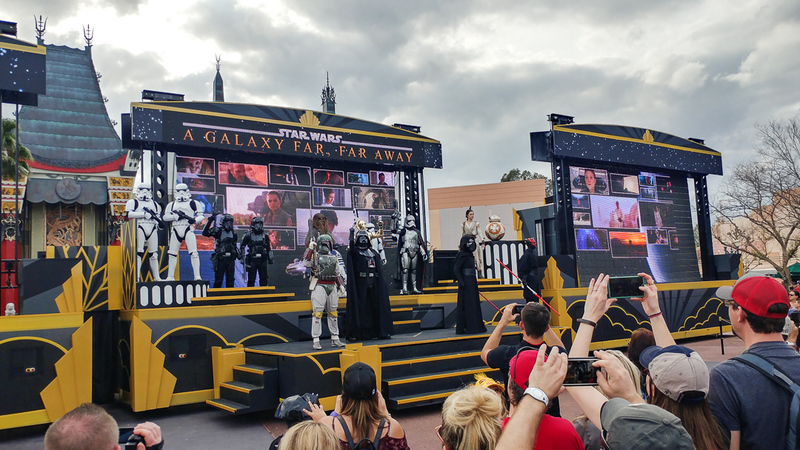 Find out more about Star Wars: A Galaxy Far, Far Away on the Disney’s Hollywood Studios website. Disney isn’t Disney if your day doesn’t end in fireworks. While this display is definitely geared toward the Star Wars fanatic, you don’t have to live and breathe Star Wars to recognize the famous movie scenes projected throughout the 14-minute show. Don’t go home without seeing the fireworks. Or, if you do decide to miss them, take advantage of the shorter lines you’ll find at the park’s busiest attractions, like Toy Story Mania or the Rock ‘n’ Rollercoaster. Note: According to the website, the Galactic Spectacular show only happens on select nights. From what I can tell from the current schedule, this appears to mean ‘most’ nights, but you may want to check the park calendar (be sure to scroll to the correct park), before you go. 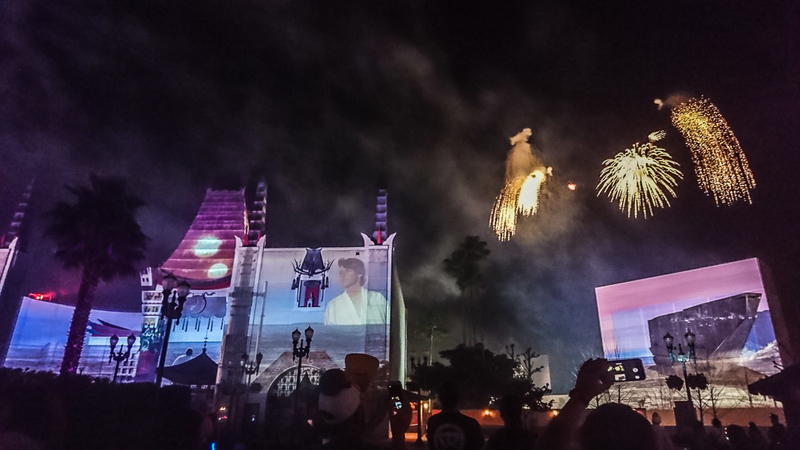 Find out more about Star Wars: A Galactic Spectacular on the Disney’s Hollywood Studios website. A true classic, I remember this ride from when I was a kid. If you’ve ever seen an episode of The Twilight Zone, you’ll enjoy the part leading up to the actual ride part, too. And if you’ve never seen an episode, you should probably get on that immediately. It’s kind of like Black Mirror, but older and in black and white. And it’s on Netflix, so you have no excuse not to see it. I remember Kick the Can (season 3, episode 21) being one of my favorites, and Nightmare at 20,000 Feet (season 5, episode 3) gave me recurring nightmares for years as a child. Do not let your kids watch this one if you want them to sleep at night. Rod Serling’s voice narrating your journey through this “fictitious ‘lost episode'” of The Twilight Zone gives you that familiar creepy feeling of watching the show. You’ll lose your stomach at least once on this ride — you are free-falling down an elevator shaft, after all — but it’s not too terribly rough on your gut and it’s short-lived. Luckily, we found the wait for this ride to be surprisingly short — maybe because of this ride’s age, or perhaps its tucked-in-the-corner location… whatever the reason, we were happy to be able to reserve FastPasses for other attractions at the nearby kiosk before getting in line for the Tower of Terror. Find out more about The Twilight Zone Tower of Terror on the Disney’s Hollywood Studios website. With Star Wars as a priority, we actually didn’t have time for this show on our one-day visit. I’ve seen it before, however, and that’s why I’ve added it to this list. Like the Tower of Terror, Muppet Vision 3D is a classic in my opinion, and it’s a show that kids and adults can both enjoy. You’ll see popular muppets like Kermit, Miss Piggy, Fozzie, and more getting up to their usual muppet shenanigans — in 3D. Find out more about Muppet Vision 3D on the Disney’s Hollywood Studios website. Note: We didn’t have time to see Beauty and the Beast or Voyage of the Little Mermaid on this trip, either. If you’ve seen either of these shows, please share your thoughts with us and our readers in the comments! 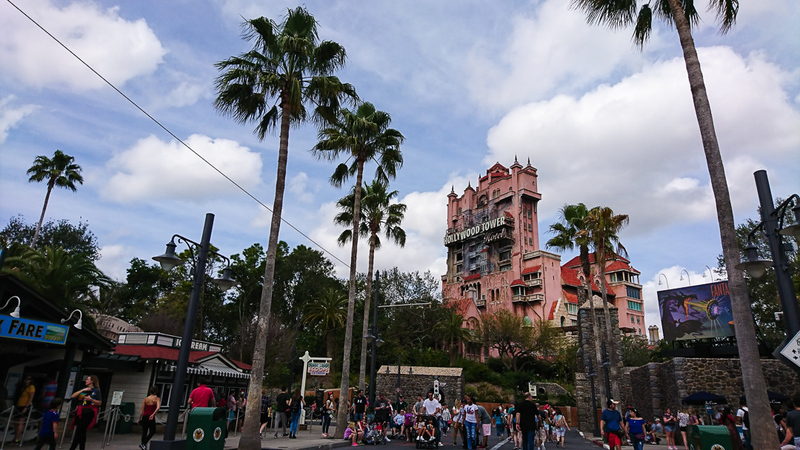 Want to know our least favorites from our 1-day Disney’s Hollywood Studios visit? That’s next! 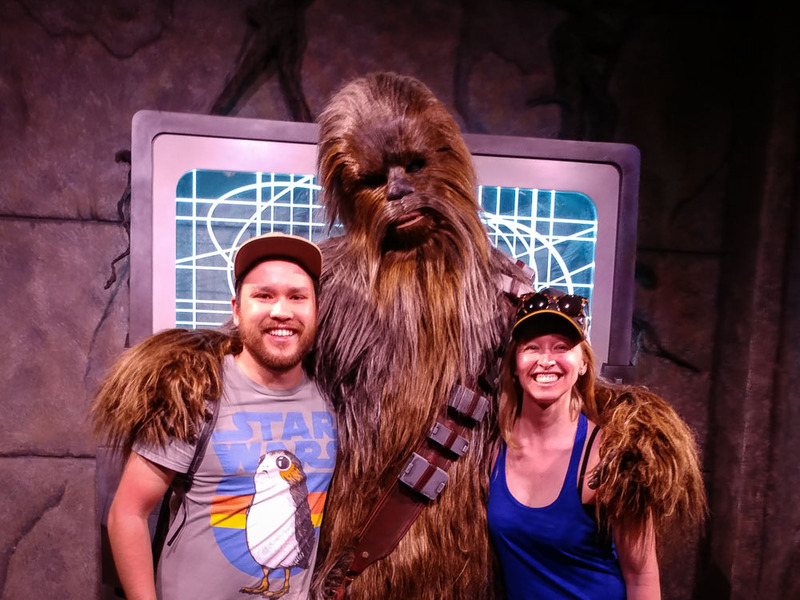 Star Tours – The Adventures Continue – Please don’t hate me for hating this ride. 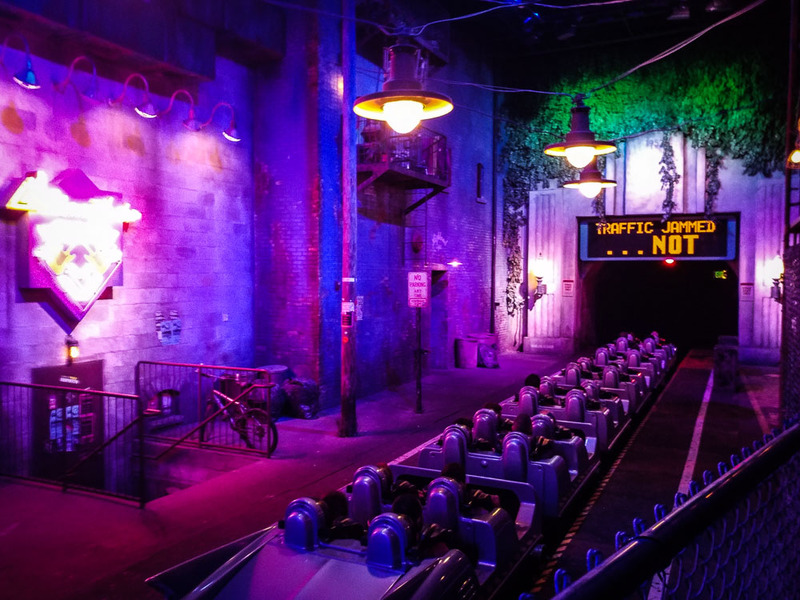 I know it’s kind of a classic, but as many of you have already discovered in my Universal Studios post, we’re not fans of flight simulator rides. The line for this one’s okay, with lots of droid and other Star Wars themed stuff to look at, but the actual ride part makes me nauseous. Note: While I don’t think the Star Tours ride itself is worth the wait, outside right next door is the Jedi Training Academy for kids, which I definitely do recommend. Jedi masters gather up all the pre-registered kids for a training session, and the show’s complete with Jedi robes and lightsabers for everyone. It’s pretty cute to watch, even if you don’t have kids participating, and it’s a great alternate option if your group insists on the Star Tours ride. 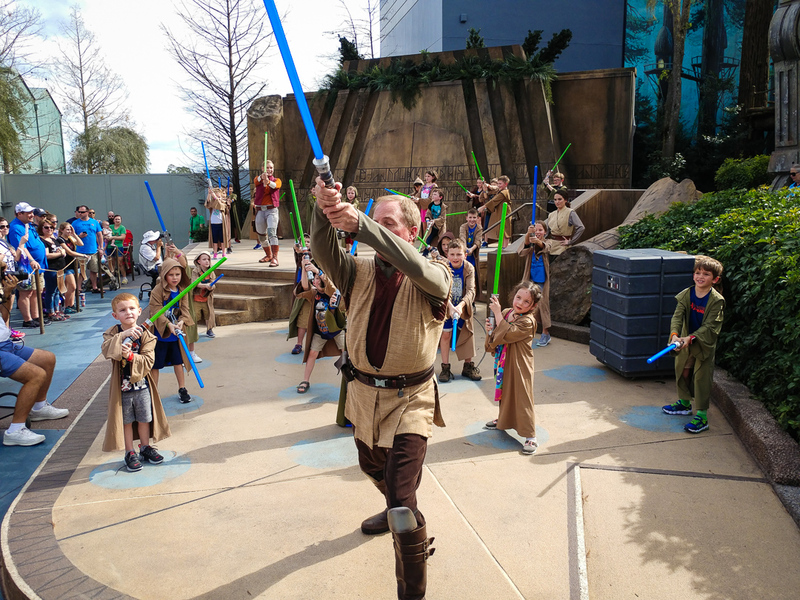 Check the Disney website’s Jedi Training Academy info for showtimes and more info. Watch a video showing the progress and plans for Star Wars: Galaxy’s Edge here. On our next visit to Disney’s Hollywood Studios, we’ll also be checking out the park’s new Toy Story Land, which is now open with a new Slinky Dog roller coaster, lots of Toy Story characters to meet, and some interactive gaming with the Green Army. If you just can’t wait for your next visit, try your hand at these online Toy Story games in the mean time. Disney’s Hollywood Studios isn’t a park with rides that leave you soaking wet, but lightweight rain gear is always on our packing list for trips to Florida. dry bag — Protect your camera in a downpour. water bottle — Stay hydrated and earth-friendly by bringing your own. Do you have a favorite ride or attraction at Disney’s Hollywood Studios? Tell us in the comments!